The Book of Blam is the first of three novels about the Holocaust in Yugoslavia written by the Serbian writer Aleksandar Tišma, the other two being The Use of Man and Kapo. It was published in 1972 in Belgrade and was well received, as were the two books that followed. Tišma’s work was translated into 17 languages and he became internationally known. Although a child of a Serbian father and Jewish mother, who lost relatives on his mother’s side in the Holocaust, Tišma came to the subject of the camps late: He attributed this new interest of his to a trip he took to Poland in the 1960s and a visit he made to Auschwitz that reminded him of the horrors he registered as a boy but had learned not to think about in order to keep his sanity. The trip to Poland made him realize that he had a history he could not run away from. As Tišma’s compatriot Danilo Kiš noted, “One doesn’t become a writer accidentally, one’s biography is the first and the greatest cause.” Tišma would have agreed. In one of his journals he describes himself as a bug who had survived the bug spray and whose role now is to convey to the descendants of the killers the atrocities their fathers and grandfathers perpetrated on their millions of victims. Tišma was born in 1928 in Horgoš, a town on the border of Serbia and Hungary, where thousands of Syrian war refugees lately have massed while waiting to be allowed passage to Western Europe. His father came from Lika, an impoverished region in western Croatia inhabited by many Serbs. Though his parents, expecting him to become a priest, sent him to school in Serbia, on graduation he went to work for a wholesaler and eventually started a business importing fruit from the south. Tišma’s mother was Jewish Hungarian. She grew up in a small village in Hungary where her father ran a small, barely thriving store. She met her future husband at her aunt’s rooming house in Horgoš where he used to stay on his business trips. The newlyweds settled in Novi Sad, the largest and most multiethnic city in the region, where Tišma lived for the rest of his life and wrote his many books, including The Book of Blam. In April 1941, when Tišma was 13 years old, Yugoslavia was invaded and occupied by German, Italian, Hungarian, and Bulgarian troops. Vojvodina, the area north of Belgrade, where Novi Sad is situated, was divided into three zones: one occupied by Hungary, one by the newly founded Croatian fascist state, and the rest under German control. Serbs, who had settled in the region after World War I, when the Austro-Hungarian Empire was dissolved and Yugoslavia came into existence, were to be deported; Jews, if they did not fall into the hands of the Nazis to be taken to Serbia and gassed in mobile gas vans, were persecuted or perished in a series of raids, the most notorious of which took place in Novi Sad. There, over a period of three days, starting on January 20, 1942, some 1,400 Jews and Serbs, including women and small children, were led at gunpoint onto the frozen Danube, shot in the back, and shoved into holes in the ice. Tišma and most of his family were spared thanks to a Hungarian neighbor who misled the soldiers knocking on doors and searching for people on their list, but his beloved grandmother Theresa Miller was rounded up with several hundred other Jews and Serbs and was on her way to the banks of the Danube to be killed when a cable arrived from military authorities in Budapest ordering an end to the mass slaughter. Of course, the persecution and killings continued. In 1942 all Jews and Serbs between the ages of 21 and 48 were conscripted into forced labor battalions. 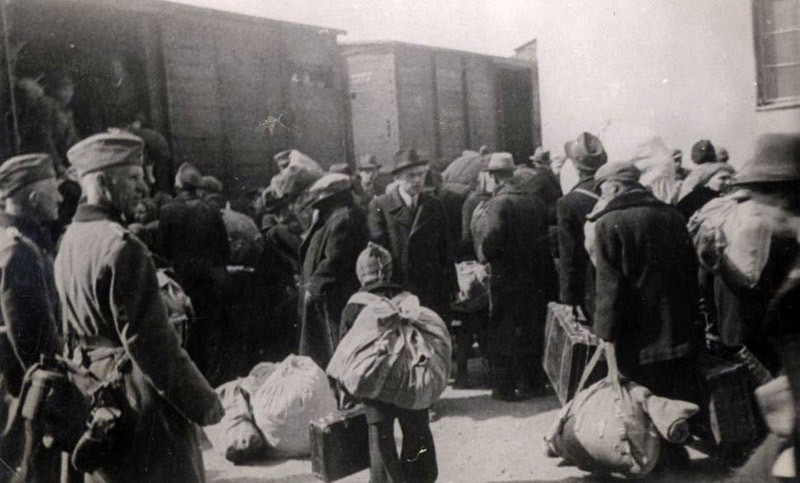 Some 4,000 Jews from Bačka and Baranja were sent to Ukraine, near the front, where they succumbed to disease and starvation or were murdered; others were put to work in copper mines and on the railroads in Serbia and Hungary. In March 1944 when Hungary realized that it had taken the losing side in the war and began to negotiate with the Allies, Germany seized control of the country and the occupied territories. Any remaining Jews—there had been approximately 20,000 in Vojvodina before the war; now there were 4,000—were collected and sent into camps. Some Jews had already left the region since—until that March—territories held by Hungary were safer than neighboring Serbia and Croatia. Tišma and his mother were among them. They had traveled to Budapest in 1942 and he had enrolled at the university to study economics (changing after a semester to French). He even got a job working in an office. As he later explained to an interviewer, students enjoyed a privileged status in Hungary during the war. In 1944, Tišma and his classmates were conscripted into labor brigades to dig trenches against the advancing Russian tanks, but except for sleeping in tents they were not otherwise mistreated. His mother and grandmother also survived, though living in mortal fear as they watched friends and relatives being taken away to the camps. “All my novels are autobiographical,” Tišma said, explaining that he is not recounting his life but using elements of his experience in them. His central characters without exception share his own sense of alienation. Even as a child, he said that he was aware of being different and kept asking himself whether that was really true. He felt he didn’t belong, only pretended to, imitating people’s voices, accents, phrases, deeds, while remaining an outsider. Asked in a census which nationality he belonged to, Tišma checked off undecided. He had always wanted to leave, but he had never had the courage to, even when the opportunities arose. “I am a man who stayed in the hole because he couldn’t part company with its warmth,” he confessed in his journal. Miroslav Blam, the protagonist of [The Book of Blam], is that sort of man, a guilt-ridden Holocaust survivor, a Jew who married a Christian and was therefore exempted from annihilation while the rest of his family perished in the 1942 raid. He is a loner obsessed with the past, married to a woman who cheats on him. He has a grown daughter fathered by the Serbian collaborator who was his wife’s lover and who gave him a job and saved his life after his parents and sister were killed. He walks the city full of ghosts, a man whose faith in the world has proved to be futile, since those like his neighbors who lived by it expecting to thrive, as we all do wherever we live, ended up being murdered and forgotten. “Manhunt” is the name Blam gives to the onslaught of memories that pursue him and torment him wherever he goes. They make up the plot of this book and provide it with its large cast of interesting characters and their astonishing life stories. Tišma, who had previously published three short-story collections and a novel about a love affair, said that he wrote this book without a plan or a model, following his instincts, which, as the reader can verify, turned out to be flawless. A friend who read the manuscript told him that even someone as inconspicuous as his hero must do at least one extraordinary thing. Not in Tišma’s books. The heroes of an age, he believed, are not its winners, but those who bear its wounds. 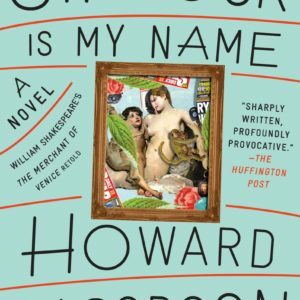 He writes about the private lives of people at the mercy of historical events beyond their control, the choices they did or did not make, victims and killers, both of whom he sees clearly, neither judging them nor forgiving them. An interviewer once asked how he had come to write so well about murderers. Tišma responded that crime fascinated him; the violence he witnessed during the war had made him comprehend hatred and cruelty. I’ve read in my lifetime many vivid and ghastly accounts of people led to their death in novels and historical documents, but few that match Tišma’s depiction of what those thousands inching forward on the frozen Danube felt and told themselves while hearing the sound of a machine gun, growing closer and closer, louder and louder, firing in quick bursts and now and then falling silent in the early-morning dark. One of the most poignant stories in The Book of Blam describes how in April 1944 the Jews and their families who were to be deported to the camps were assembled in the huge synagogue in Novi Sad. They spent three days and three nights there, not bothered by the guards, waiting quietly. The only discordant note came from five or six dogs who had trotted alongside their owners as they were being led to the synagogue and remained outside watching for an opportunity to dash inside. The guards chased them away, yelling and cursing, but the dogs came back. They did see their masters one last time, nuzzling them and getting them to part with some hidden morsel of food, when they were at the station waiting to be loaded into the train, but soon the train was on the move and the dogs were left alone on the tracks, though they kept running after it for a long time until at last their noses lost the familiar smells of their owners. At the end of The Book of Blam, Blam goes to a concert held in that same synagogue, known for its fabulous acoustics. There is one other Jew in the large crowd, an old man who dodged death in a camp playing the violin in a band that accompanied prisoners on their way to the firing squad. From the introduction to THE BOOK OF BLAM. Used with permission of NYRB Classics. Copyright © 2016 by Charles Simic. Charles Simic is a Serbian-American poet, essayist, and translator. He is the recipient of many awards, including the Pulitzer Prize, the Griffin Prize, and a MacArthur Fellowship. In 2007 Simic was appointed the fifteenth Poet Laureate Consultant in Poetry to the Library of Congress.